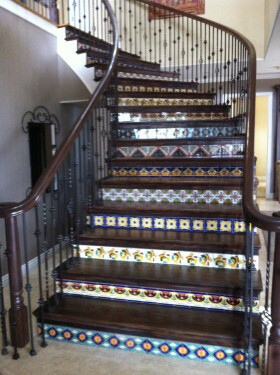 If you like color, and art, and design, you’ll love Mexican tile. With a deep rich history and deep rich colors these tiles are truly works of art. Read on and find out why. 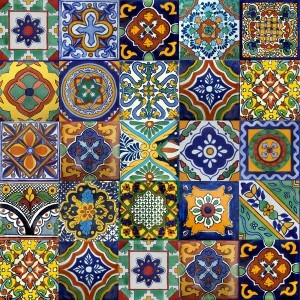 Mexican tile, also known as Talavera Mexican Tile, has been made in Mexico since the 16th century. These ceramic tiles are actually hand-made and hand-painted. The style is a mixture of the local Mexican influence and that of the Spaniards who brought with them the wheel and tin based glaze method. 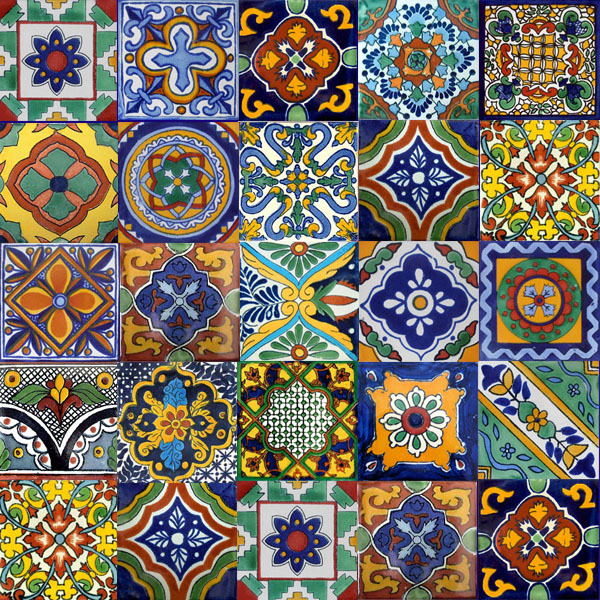 The name Talavera comes from the Spanish town of Talavera de la Reina, well-known for its tile work and pottery. The majority of Mexican tile historically has been made in the Mexican state of Puebla. This is due to the fact that not only did this area have an abundance of churches and monasteries in need of tiles, but it also had an abundance of excellent clay. The hallmark of Mexican tile is its deep rich color. Originally, tiles of this type were only blue (cobalt blue) and white. This was because not only was this blue a stunning color, but because it was a very expensive pigment at the time. And by using this expensive pigment the artisans were ensuring the authenticity of the tile to the consumer. However, later on, several more colors were added. Technically true Mexican tile can only have six colors, these are: blue, violet, orange, black, green, and yellow. They can be distinguished from the machine-made tiles because they have a high gloss finish and a raised design. Currently there are only a few workshops in Mexico which offer true Talavera tile. Mexican tiles have quite a few advantages over normal machine-made ceramic tiles. Firstly, they are much cheaper than normal ceramic tiles, in many cases half the price. They also are handmade, which makes them unique and individual works of art. Their colors can also bring warmth to any room or space. And, they are very easy to clean. The only disadvantages being that in some areas they may not be easy to find locally, and must be ordered online. Also being a little more fragile than other types of tiles, it would be a smart idea to order a few extra to compensate for breakage. But that being said it’s always smart to buy a few extra anyway no matter what type of tile you are installing in case you need them in the future. Mexican tiles can be used in many ways. Because their colors are so bold, they are typically used for adding color to a room, or creating an interesting focal point. Interesting, not only because of their colors, but because of the fact that there are so many designs. These hand painted designs range from animals such as birds, and lizards, to ornate geometric patterns and shapes. These designs, and warm colors go well in any room of the house and can be used to make a kitchen or bathroom backsplash to even a fireplace surround with a Mexican feel.